Oklahoma experienced more 3.0-magnitude or higher earthquakes last year than it did in the past 30 years combined, as reported by the Tulsa World, but don’t expect much action on the issue by state or local governmental authorities. Those 567 earthquakes helped to make Oklahoma the leader now among the lower 48 states in earthquakes, a new dubious and weird distinction that not only threatens the welfare of the state’s residents and property but also tarnishes the state’s national image. Tornadoes AND earthquakes? People will flock here in droves. As scientists have argued for some time now, the reason for the dramatic surge in earthquakes can be found in the hydraulic fracturing or fracking boom here that has led to a world glut of oil and gas. In the fracking process, water laced with toxic chemicals is injected into rock formations, which release fossil fuels. The wastewater is then injected by high pressure underground into what are called disposal or injection wells. Scientists believe the injection well process causes instability or shifting along fault lines triggering earthquakes. Oklahoma has experienced a fracking boom in recent years, but the boom here and elsewhere has led to an oversupply of oil and gas, driving down prices and slowing production. This slowdown, which was predicted and easily foreseen months if not years ago, has already negatively impacted the Oklahoma economy. Let’s be clear: The state’s boom and bust cycle is based on making money not on sensible state and national energy policies. The modus operandi for oil and gas companies has always been and will always be to get as much money as they can when they can and then let the public and their laid-off workers deal with the aftermath in terms of economic and environmental duress. Meanwhile, many Oklahomans have had to adapt to the new earthquake reality, which means spending more money on home insurance and, at least for some people, living in fear that a major earthquake will destroy their property or cause them bodily harm. In May, the U.S Geological Survey and the Oklahoma Geological Survey issued a warning that another major earthquake of 5.0-magnitude or above is a real possibility in the state. A 5.6-magnitude earthquake rumbled near Prague in 2011 causing property damage. It seems inevitable that the lack of governmental regulation and the basic greed of the oil and gas industry will lead to another larger earthquake here again. The question is one of liability. The oil and gas industry, as a collective whole, has argued in the past that there’s no definitive proof that the injection well process causes earthquakes, but the evidence mounts against this position. A study published in Science last summer offered probably the most clear evidence so far that the injection well process has caused Oklahoma’s surge in earthquakes. A co-author of the study called the rise in earthquakes here “unprecedented.” The study argues that injection wells could lead to earthquakes a long distance away from their sites and throughout the state. Government officials here have done little on the national, state or local level to deal with the issue. The Oklahoma Corporation Commission has required injection well operators to keep more detailed records but the idea of a moratorium on such wells has never been really considered. The oil and gas political lobby remains a powerful force in Oklahoma. As I’ve argued in the past, it will probably take a major earthquake that causes massive damage and injuries before government officials and the political establishment here are forced to take action. That doesn’t mean citizens should remain silent about the issue, but it is a cause for frustration and incredulity. 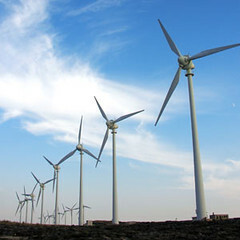 Overall, the larger solution to the problem and other problems caused by the extraction and burning of fossil fuels is the continued development of renewable energy sources, including wind and solar power. « Is Proposed Hoodie Law An Overreach?